Offering you a complete choice of products which include tablet counter and tablet counter machine. We are counted among one of the leading manufacturers, exporters and suppliers of a useful collection of Tablet Counters. These are precision engineered using raw material of utmost quality under the strict supervision of our quality inspectors to comply with the defined quality norms. Moreover, these are praised for their optimum quality and performance. 1000’s 5 fills per Min. 5 fills per Min. ----- 5 fills per Min. 500’s 5 fills per Min. 10 fills per Min. 5 fills per Min. 10 fills per Min. 250’s 10 fills per Min. 15 fills per Min. 10 fills per Min. 15 fills per Min. 100’s 20 fills per Min. 25 fills per Min. 15 fills per Min. 20 fills per Min. 50’s 25 fills per Min. 30 fills per Min. 20 fills per Min. 30 fills per Min. 20’s 30 fills per Min. 30 fills per Min. 30 fills per Min. 30 fills per Min. 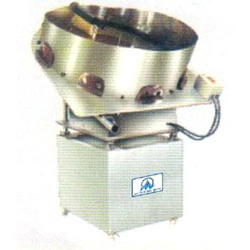 Mastech Machinery is the preferred choice of its customers for offering Tablet Counter Machine. Appreciated and accepted for its longer functional life, sturdy construction, consistent operation and noiseless performance, the proffered series is massively desired by our valued clients. Tablet counter offered by us is easy to operate and requires minimal maintenance.